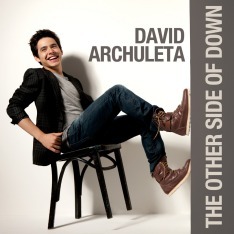 David Archuleta is a powerful singer. Gosh! He even has the power to push the calendar around. It’s not even Halloween yet, but I’ve got that Christmas spirit! I don’t believe I’ve ever been so ready to sing holiday carols. David Archuleta’s debut holiday album, Christmas from the Heart, is not only an early gift, it is a treasure for every Christmas from now on. Thank you Superkid | Blitzer Grayson for all the YouTube videos! Now that you’ve heard them, buy the album and gift a few copies to your nearest and dearest. Team Archie makes it possible to gift to those far and wide, including international fans who may not be able to purchase the CD themselves. Team Archie is once again facilitating the giving and the receiving of David’s music. You can make a gift to those who cannot purchase the album themselves. You can request a gift for yourself. Autumn is from 22 September to 21 December. David’s “Holiday Tour” is in late autumn. OMG! I forgot about the song If Ever I Would Leave You – such beautiful lyrics! No matter what time of year it is…..we will never leave David! HaHa! Maybe one day we will hear David sing that song! Or at least twittering it….he does come up with some old ones! Oh I did enjoy having all those you tube videos handy… cleaning house to David’s Christmas songs! Hey, I gifted a CD to a team of girls at work and I have never gotten so many hugs. They were all so happy to get another CD of David’s songs. And I love giving them to this group because I get to hear David too when I pass by their office. haha.